1. You must use cornstarch. 2. The cabbage to pork gyoza must be 70:30. 3. The cabbage to pork gyoza must be 70:30. Seriously, the cabbage to pork ratio is beyond important, the cabbage makes it moist and yum! 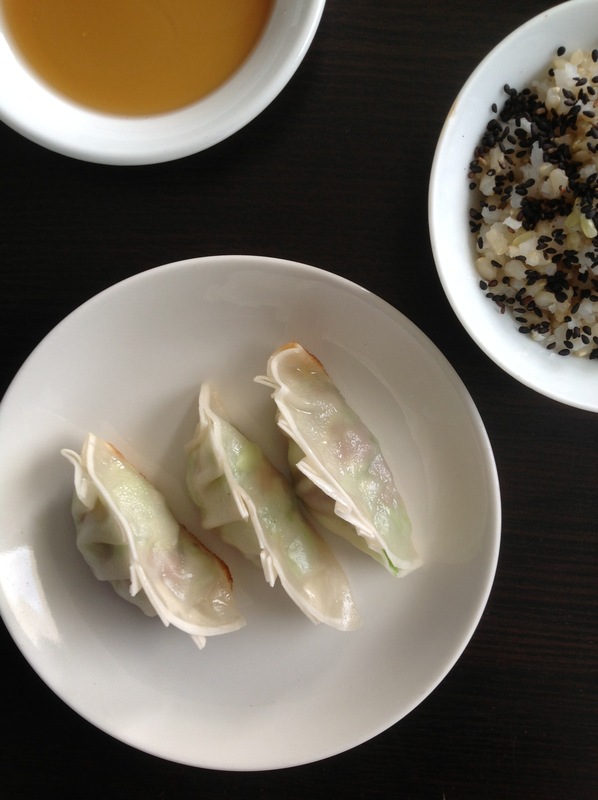 So I’ll say it again : The cabbage to pork gyoza MUST be 70:30! Shred cabbage into small pieces, or alternatively just chop it up. Place pork mince in a bowl and mix pork with hands until sticky and goopy. Add the garlic, ginger, cornstarch, salt and pepper into the mince and mix again. Combine the cabbage until thoroughly mixed. Place a small amount into the centre of the gyoza skin and add water to the edge of it (it acts as glue) and fold over. 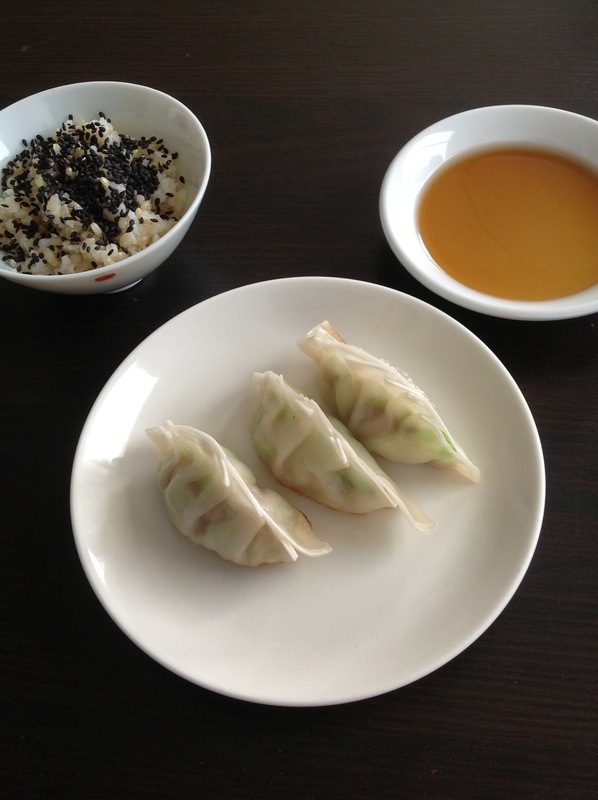 Once gyoza are made, pour oil into a pan and when heated, add the gyoza. Cook until golden underneath then pour water into the pan and put a lid on it. Steam for two minutes then serve with dipping sauce. YUM! I love gyoza. these look great! Oh my goodness, I LOVE gyoza. I am so making these…like PRONTO! Yum yum yum—these look great! Thanks Margaret! They are actually super easy and you can freeze them so you have a quick dinner in no time! Thanks so much – they’re surprisingly easy to make! 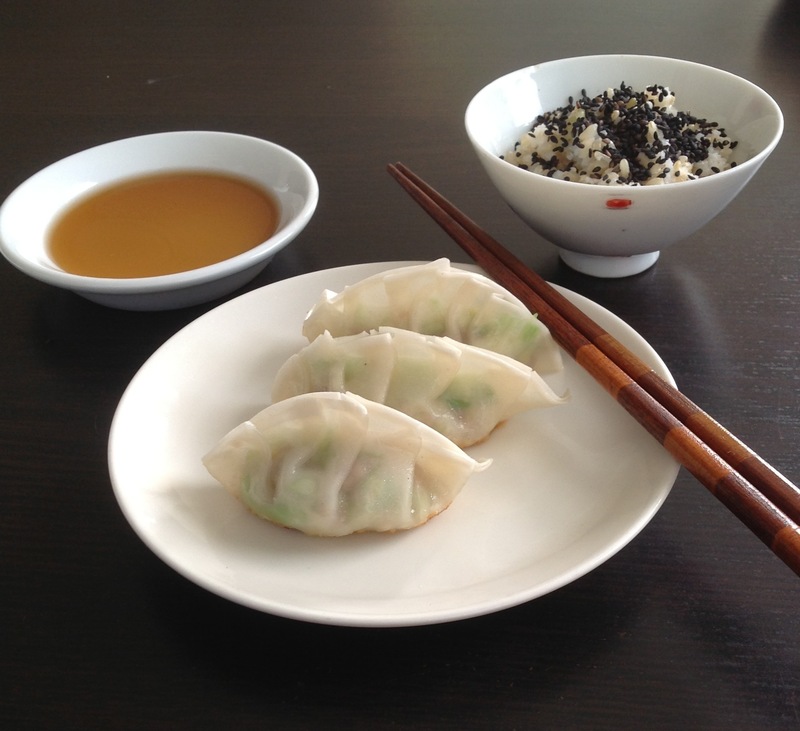 I’ve never made gyoza, but (like the rest of the commenters) I love them! They look relatively easy as well. Thanks for sharing!